Sega has just announced that the upcoming Turn Based and Real-Time strategy game, Napoleon Total War, will feature some new multiplayer campaign modes - including co-op play. 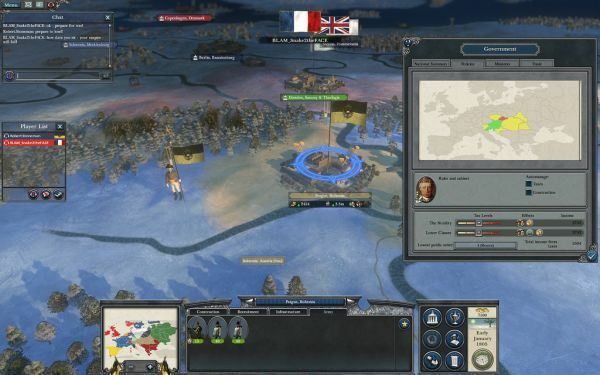 This mode of play was a result of the successful beta for Empire Total War which featured similar modes. The co-op mode allows players to work together in any of the game's three campaigns in the turn based mode. Along with the co-op addition comes the ability to have a real user take control over the enemy during your single player campaign in drop-in/drop-out fashion. Doing so could beef up the challenge if you find the AI too easy, or perhaps, you'll get a 5th grader trying to play and wipe the map with them. Either way it's a nice addition. Napoleon Total War is set to hit PCs on February 23rd. Page created in 1.5301 seconds.